I was one of the lucky ones to be invited for this year’s Android Career Summit held at Google office in Bangalore. It was an all-expenses-paid trip and the management was top notch. Details about flight bookings and the event agenda was shared only 2 days before the event. Other than that, entire event was run with superlative efficiency and smoothness. The hotel, transport and meals all exceeded my expectations. Bangalore was under duress with violent protests (ill-timed for us). The schedule had to be tweaked. All through, safety of us students was prioritized. On the second day, instead of going back to Hotel, I went to stay with a Googler friend. I received call immediately from Deeksha (one of the event managers) about my whereabouts, to ensure I was safe. The event began with a casual ‘meet & greet’ in our hotel. The organizers (Googlers and Udacity coaches) took the lead in breaking the ice. Each one was surrounded by bunch of students bombarding questions. They were inviting, warm and helpful throughout the event. Shout out to Pious Saraswat, Akash Shukla, Aparna Shridhar, Nikita Gamolsky and many more (I am unable to recall all the names) for being awesome hosts. Networking with fellow Udacity students was wonderful. I was humbled that most of them were students and had completed nanodegree within few months (It took me 13 months, working full-time and doing side projects). The conversations continued over next 2 days during sessions, corridor meets and traveling. It was fun finally meeting geeky bunch of engineers conversing over varied topics, from networking to android to security to exploding Galaxy Note 7. A Google friend of mine gave me the Bangalore Google office tour. It is not as fancy as other larger campuses but is jam packed with micro-kitchens, standing/walking desks, gym, indoor cricket net, tech stops, spa, massage chairs and any-comfort-giving-device-you-can-think-of. I wish the tour was organized by Google for all the students. Prior to the event, Udacity students were invited to create apps for social cause. Out of 80 apps submitted, 6 were selected for presentation. They were judged by 2 Tata Trusts managers. This app was created for kids with special needs to communicate their needs (water, food, etc) to their care takers. The app was already being used as pilot in Vasantham. The app itself was simple yet practical and was presented wonderfully by Natarajan. 2 students created similar apps. They were for people riving in rural areas who do not have access to prompt medical help. The apps required user to choose their symptoms and app would suggest possible medical condition and next steps. This app was created to connect farmer with the market for buying farming raw materials (like seeds, equipment etc) and selling the produces. The presentation was hilarious (in a good way). This app was created for individuals (especially women) to be able to sell items like handicrafts and confectioneries. I was hoping for a 2 day hackathon similar to the 2015 career summit. I was disappointed but couple of the sessions did make up for it. On his last day with Google, Sunil gave great presentation about the startup ecosystem in India. Presentation had statistics about India’s internet penetration, purchasing power, funnel of addressable demographics etc. These statistics can be found online but it was inspiring and useful nonetheless. This session was about the new features in firebase followed by code labs. Google IO 2016 already covered all firebase across 34 sessions. It also has it’s own YouTube channel. The code-labs was the one listed online. This session should have been replaced with something else. It did not add much value. We were organised into groups and asked to discuss fitness app. Goal was to figure out 3 points - USP, Revenue model and a single feature post 1 year of launch. Due to Bangalore protests, we were short of time and the presentations had to be cut out. Amrit did point out the biases developers can have about goals of app, having a tag line for app, talking to real users about their needs etc. It was a great session. Having given multiple presentations in my career so far, the content wasn’t new for me. I am sure it was very helpful for the college students. The session itself was excellent. Divyum is a company developing android apps. Its developers hosted this session to share their experience and tips about creating Android apps. Since most of the students had already completed the nanodegree and host had not prepared for presentation, most of us felt the session did not live up to our expectations. This session was about providing the right UX experience to the users. Many examples were from the book with same name ‘Design of everyday things’. Rafael was very animated and engaging throughout the presentation. It was fun and helpful. We were split into groups and provided an poorly-made (on-purpose) app. Our task was to fix the UX issues with the app. We were given 15 minutes to finalize the concept and 20 more minutes to make changes. Each group had a coach to consult. Unlike previous group activity this one was even more pressure filled. We could not coordinate well to fix all aspects of UX. For me, this was the most helpful session of the whole event. 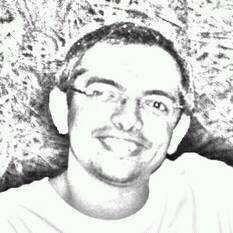 Rohit is with Google since 4 years leading Docs team, and is one of the interview panel members. He shared details about interview process for Google India. Though much of it is available online, it was reaffirming to hear it from the horse’s mouth so to speak. I am writing a separate article listing all the details he shared and will post the link soon. Almost everyone I spoke to wished this session extended a bit more. 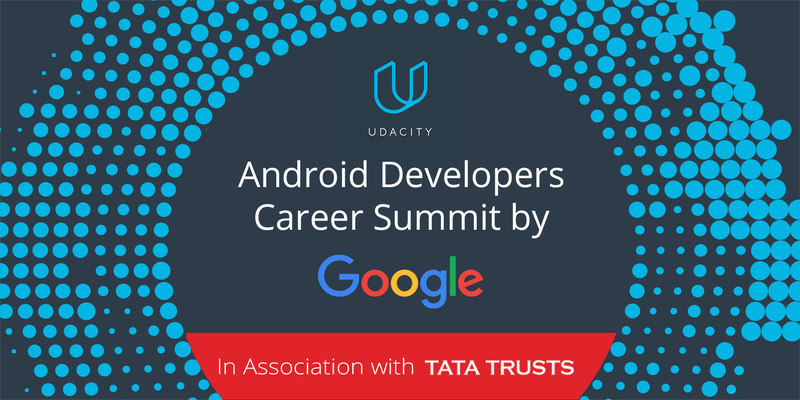 Career was high on the agenda considering event is called ‘Android Career Summit’. The plan was for multiple companies to share details about their working, and connect with us. Unfortunately, due to Bangalore’s protests, most of the employers could not make it. We only had presentation from Byju’s. It is a fast growing education-tech company with a recent funding round. It was good to connect with company’s CTO and Product Manager. 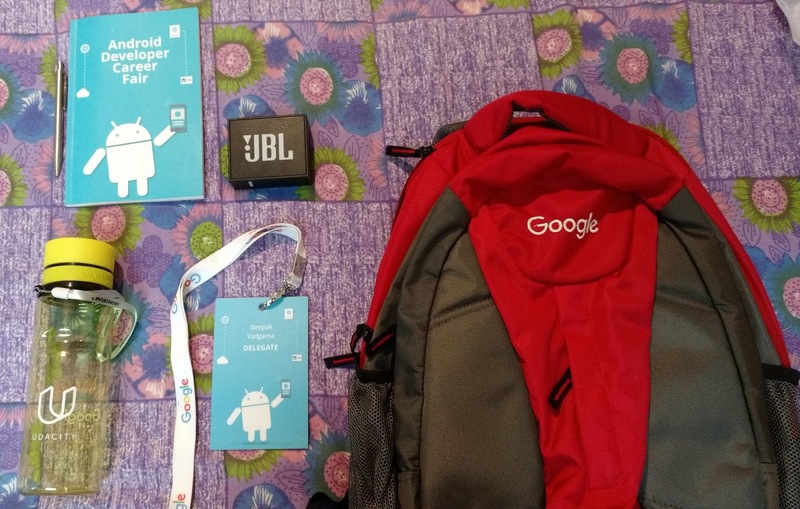 As with most Google events, there were lot of goodies shared. I love my new Google t-shirt and the bag pack. I feel very grateful to have been part of such a wonderful event. There was a sense of community inculcated by excellent group of fellow students and facilitators. I went into the event with different expectations, but came back with equivalent value nonetheless. Android Career Summit 2016 was published on September 15, 2016 .